Mouthguard Day was founded by OPRO in 2018 and falls on the first Monday in September to coincide with the start of the academic year and the start of the new season. Mouthguards (also known as gumshields) are a kit requirement for a wide variety of ball, stick and combat sports. OPRO was founded in 1997 by dentist Dr Anthony Lovat, after witnessing children lose teeth whilst playing sport as a result of ill-fitting or complete lack of protective equipment. OPRO is the world’s most technically advanced Mouth guard company and a leading pioneer in oral protection. 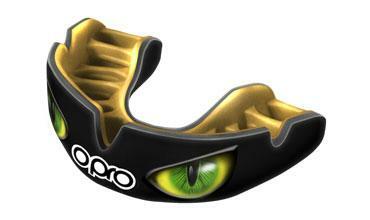 OPRO mouthguards are worn by professional athletes, weekend warriors and grass root participants. OPRO are proud to be the official mouth guard partner of a number of professional sporting organisations, including the Ultimate Fighting Championship (UFC), England Rugby (RFU), New Zealand Rugby, Australia Rugby, USA Rugby, American Youth Football (AYF), 11 Aviva Premiership Rugby Teams, England Rugby League (RFL), GB Taekwondo, England Hockey, Hockey Ireland, GB Hockey, England Boxing, World Calisthenics Organisation (WCO), Gaelic Athletic Association (GAA), English Lacrosse, and the German, French, Italian, Cameroonian & Northern Ireland Mixed Martial Arts (MMA) federations. All OPRO mouthguards are legally CE certified and in 2007 the company was awarded the Queen’s Award for Innovation in recognition of its ground –breaking work in the field of oral protection. The family owned and run company is based in Hertfordshire (United Kingdom), and all products are designed, developed and manufactured within the UK. OPRO mouthguards are available worldwide through a network of retailers and distributors.